Nigeria’s population and size, natural resources, excess human capital that can be translated wealth, earned it the title “giant” of Africa even though it is overrated. Reality and events happening in the self acclaimed giant of Africa has generated several discourse across several platforms both online and offline in discontent as how the once glorious country has metamorphosed to an object of caricature amongst comity of nations and today tagged “chicken” of Africa. A giant of a continent is supposed to live an exemplary life, protecting the lives and properties of it’s citizens and giving solutions to their problems. The critical role Nigeria plays in Africa’s development makes it pertinent for something to be done to salvage the situation. Nigeria will be better if the country is allowed to go back to it’s natural state, as it where before the amalgamation took place. 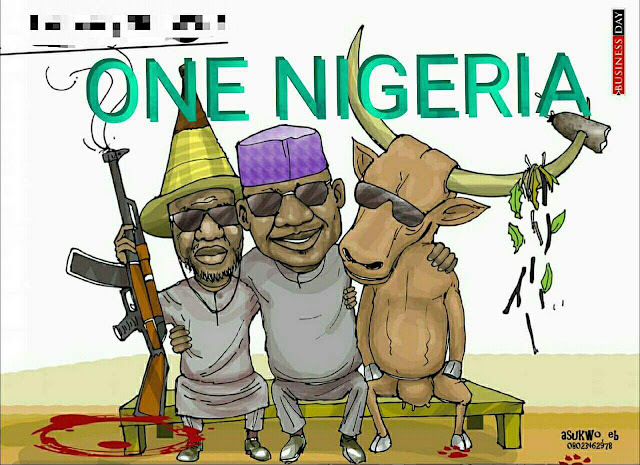 if Nigeria is not dissolved soon, Africa will loose it’s integrity and Nigeria will be worse than Somalia.